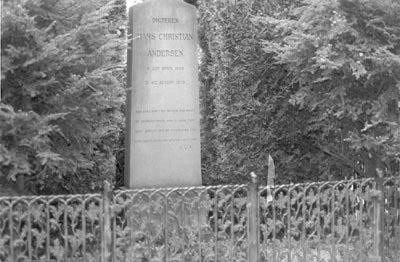 HANS CHRISTIAN ANDERSEN’S eternal rest place is in Assistens cemetry in Copenhagen. 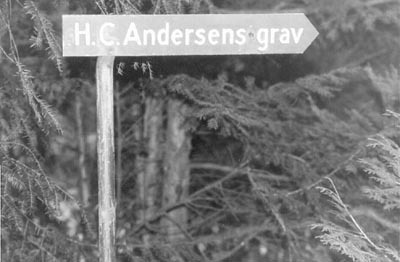 The pictures in this page were taken by Jim Professor Kinema Knusch when he visited Copenhagen with his girlfriend in 1994 (see also the picture of The Little Mermaid, taken at the same time). 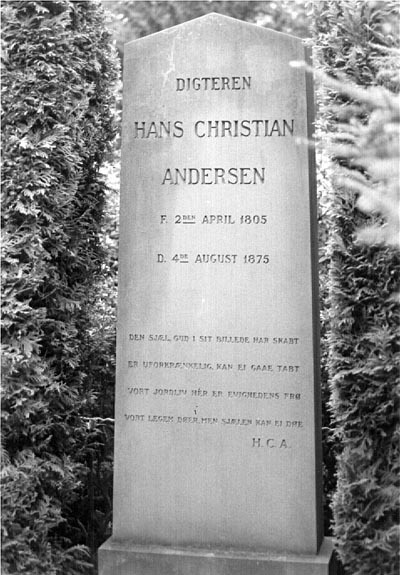 I am grateful to Jim for allowing me to display these pictures in this site, thus sharing the respect we all have to the great Danish poet and story-teller.